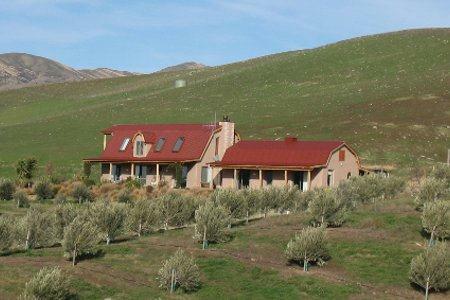 Situated in a peaceful valley near Tarras and surrounded by stunning mountain views our delightful semi detached strawbale cottage overlooks our olive grove and local farmland. 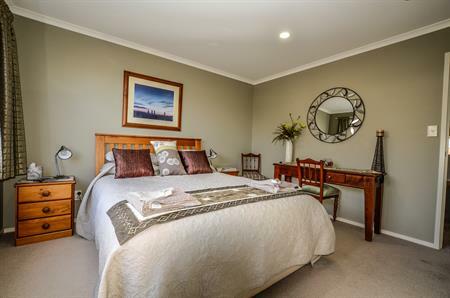 Lauder Store Accommodation is the place to stay if you like country charm combined with luxury and comfort. 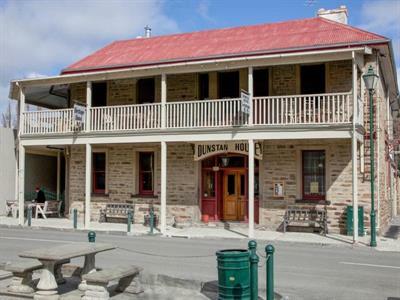 Situated right on the Rail Trail it is perfect for an overnight stay to rest and recharge. 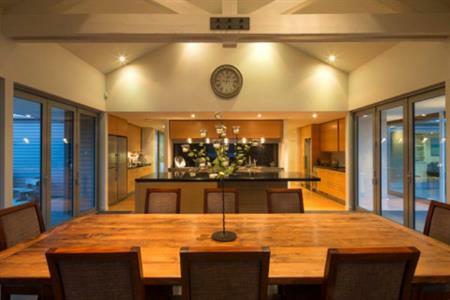 It is just as suitable for a longer stay as a base to explore the stunning surrounds. Lauderburn House was built in the mid 1920’s as a doctor’s house and infirmary. 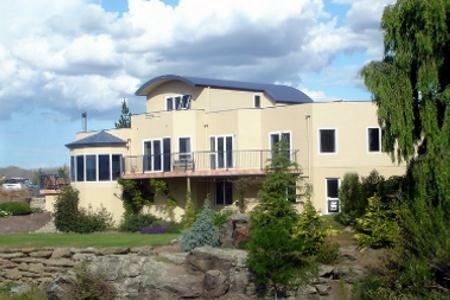 It is now a stunning 'Bed & Breakfast' in the quiet town of Lauder. 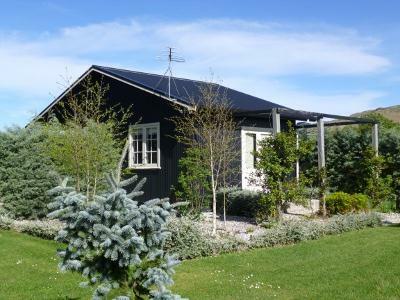 A wonderful place to stay with beautiful ensuite bedrooms and many animals for guests to enjoy. 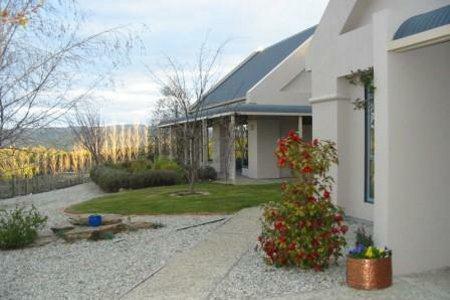 Luxury bed and breakfast located in the historic precinct of Naseby, Central Otago. 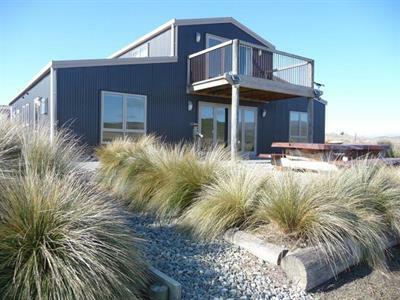 Nestled in Naseby, the ‘jewel’ of the dramatic Maniototo, The Old Doctor’s Residence provides you with a peaceful retreat or a base for action-packed adventures. Our historic home started as a gold miner’s cottage in the 1870s before developing into the town’s Doctors home and surgery. 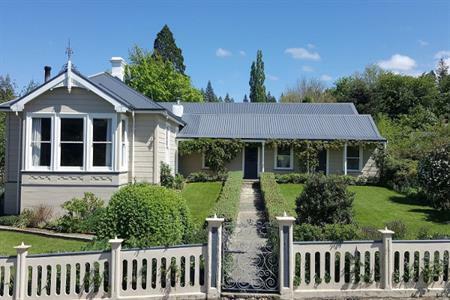 It has been sensitively restored into a luxury bed and breakfast, furnished with antique furniture and contemporary NZ art. 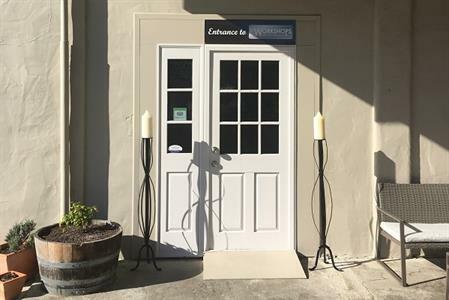 What was once the Vincent County Truck Workshops has been lovingly converted into character accommodation, right in the heart of Clyde’s historic precinct. 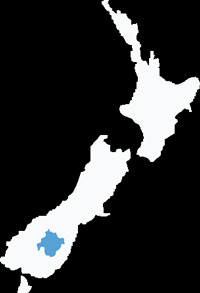 We are near to the Clutha River Walkway which runs between Alexandra and Clyde and handy to the Central Otago Rail Trail. In the heart of Alexandra on Bridge Hill. 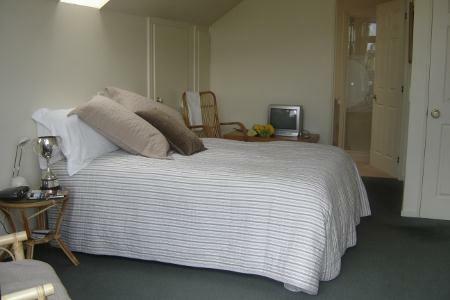 We offer very attractive, comfortable accommodation in a private double room with an en suite. You can enjoy sitting on our sunny balcony and enjoy the mountain views. An extra roll out single bed is available. In 1996, we started to think about a retirement project. 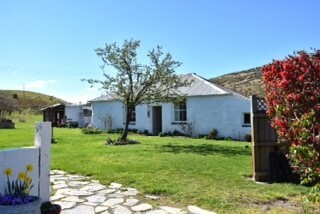 We were living and working in Dunedin and were fortunate enough to have a lovely stone cottage on the outskirts of Alexandra, Central Otago as a weekender. Though we were living as city people during the week, we had both been brought up in the countryside and felt an affinity with the land. 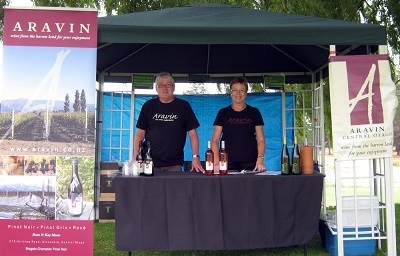 Alan and Trish welcome you to their contemporary home. Your hosts are ex-farmers who enjoy meeting people. Argyll, is named after their farm, is essentially purpose built with a guest wing housing two queen bedrooms, one with ensuite offering a shower and bath. 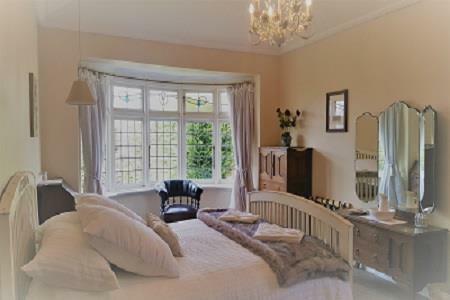 The twin bedroom and one queen bedroom share a private bathroom. 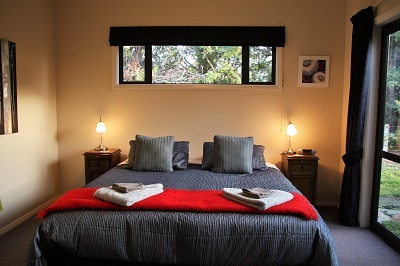 High quality beds, fine linen and towels are the order of the day. Sooth your tired muscles in the top end spa.